I am having a bit of a dilemma/ internal debate and would like some feedback. I am between two jobs that were offered on the same day. Let me start with I have my CT license to practice, always wanted to do peds, but urgent care & primary care are tied for second place. I was offered an ENT position (had never considered this field but applied anyways because it is in my ideal location- Southern CT). Monday-Friday 8-5ish, some on-call, no surgery, procedures in office, one Dr and one experienced PA who were both very nice and eager to teach. Salary and benefits could be better- 60k prorated for 6 months while training and then 75k after. Malpractice & licensing fees covered. 2wk PTO, 1 wk CME, pays only for registration for 1 CME conference, no set allocation for CME. Retirement after 1 year. Can't remember if health insurance is completely covered, life insurance & disability. Would be able to start as soon as I would like. Second offer was from an Urgent Care in my home town in Maine (4hrs from where I want to be). There are 3 locations and they are opening a 4th location all are affiliated with a nearby hospital and I would be an employee of the hospital. 3 12hr shifts per week with opportunity to pick up extra shifts. They will provide a precepted period, would not be expected to carry a full patient load. Hospital benefits (have not seen the official package- jobs were offered yesterday but HR will be sending along the official offer). Start at $47hr, $53hr at year 1, $57hr at year 2. Estimated start date of end of June due to credentialing. I did see there were a couple of posts regarding ENT positions a couple years ago.... I'm wondering if it has become more difficult to leave ENT and go into one of my preferred fields? Any thoughts would be greatly appreciated!!! The ENT salary is very low, so low you will have a hard time living in south CT.
Go to Maine, get a few years under your belt. Then start looking for where you want to go. You would be in a better position to negotiate with some/any experience than you are now. If you are stuck on CT though, leverage the Maine offer. Tell ENT what you got offered, that you will need that kind of money to live there. Hi all! I was wondering if anyone was going to the ENT for the PA-C Conference coming up in April down in Orlando? This will be my first year attending and I've heard great things from my colleagues! If you've gone in the past, are there any specific workshops you would absolutely recommend? New grad training - how much did you get? New grad here currently considering taking my first job at an urgent care clinic. The goal is for me to act as a solo provider at a new rural location to be opened in the coming months (with an off-site supervising physician.. the specifics of who I should contact depending on when a question/concern comes up are to be discussed and I plan to have them included in my contract in writing.) It has already been discussed that I would have at least 4 weeks of one-on-one training with a supervising physician at the existing clinic, where there are always at least two providers working, before beginning independent work at the new location. I know all new grads experience some hesitation and nervousness about their first job, even WITH colleagues on-site for questions and I can appreciate that these feelings are in fact healthy and will keep me working hard to continue expanding my knowledge and improving my skills. 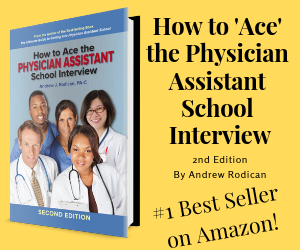 I also know how important receiving sufficient training at your first PA position is, essentially building the foundation for the rest of your career. My question to you: when you started your first position (whether it was urgent care or something else - it would be helpful if you specify), what kind of training did you receive and for how long, and did you feel like it adequately prepared you for independent practice?